I’ve got a poem up today at Delirious Hem for day 18 of this year’s advent calendar. 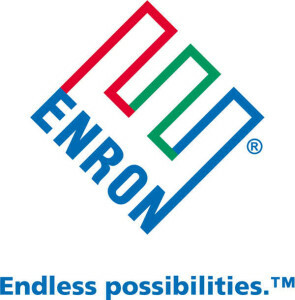 I read it recently & realized that people have already forgotten about Sherron and Enron. This year’s performers include: Heroes Are Gang Leaders, Hanif Abdurraqib, Julia Alsop, Penny Arcade, Ed Askew Band, Vyt Bakaitis, Jennifer Bartlett, Morgan Bassichis, Jim Behrle, Rijard Bergeron, Felix Bernstein, Anselm Berrigan, Edmund Berrigan, Jennifer Blowdryer, Stephen Boyer, Ernie Brooks with Peter Zummo and Jeanine Otis, Lee Ann Brown, Marie Buck, Steve Cannon, Wo Chan, Lonely Christopher, Yoshiko Chuma, Jace Clayton, CA Conrad, Todd Colby, John Coletti, Joey de Jesus, Ted Dodson, Thom Donovan, Maggie Dubris, Douglas Dunn, Marcella Durand, Andrew Durbin, Will Edmiston, Mel Elberg, Christine Elmo, Carlos Estrada, Betsy Fagin, Farnoosh Fathi, Carolyn Ferrucci, Jess Fiorini, Foamola, Tonya Foster, Joanna Fuhrman, Cliff Fyman, John Giorno, Aracelis Girmay, Philip Glass, John Godfrey, Ariel Goldberg, Nada Gordon, Stephanie Gray, Adjua Greaves, John S. Hall, Janet Hamill, Diana Hamilton, Christian Hawkey, David Henderson, Laura Henriksen, Mitch Highfill, Jibade-Kahlil Huffman, Erica Hunt and Marty Ehrlich, Lyric Hunter, Brenda Iijima, Lisa Jarnot, Paolo Javier, Serena Jost & Dan Machlin, erica kaufman, Joseph Keckler, Amy King, Jaamil Kosoko, Shiv Kotecha, Gabe Kruis, Ben Krusling, Susan Landers, Dorthea Lasky, Denize Lauture, Karen Lepri, Kimberly Lyons, Filip Marinovich, Dawn Lundy Martin, Andriniki Mattis, Yvonne, Meier, Jonas Mekas, Jennifer Miller, Jennifer Monson, Carley Moore, Thurston Moore, Saretta Morgan, Tracie Morris with Jerome Harris and Marvin Sewell, Sade Murphy, Eileen Myles, Marc Nasdor, Elinor Nauen, Martha Oatis, Edgar Oliver, Dael Orlandersmith, Valery Oisteanu, Morgan Parker, Trace Peterson, Wanda Phipps, Arlo Quint, Church of Betty, Montana Ray, Reno, Camilo Roldán, Bob Rosenthal, Douglas Rothschild, Judah Rubin, Tom Savage, Ryan Sawyer, Danniel Schoonebeek, Sarah Schulman, Ramsey Scott, Purvi Shah, Evie Shockley, Nathaniel Siegel, Yvette Siegert, Emily Skillings, Jesse Smith, Pamela Sneed, Patricia Spears Jones, Christopher Stackhouse, Sara Jane Stoner, Christina Strong, Steven Taylor, Nurit Tilles, Edwin Torres with David Brown, Tony Towle, Édgar Ulloa, Aldrin Valdez, David Vogen, Anne Waldman with Fast Speaking Music, Ken Walker, Nicole Wallace, Lewis Warsh, Simone White, Martha Wilson, Ulijana Wolf, Wendy Xu, Emily XYZ, Don Yorty, Jenny Zhang and more to be announced! I’m on the early end of things: 4-5ish.